A doll with a skinny frame, long blonde hair, blue eyes, perfectly done up makeup, swathes of clothing, and a companion named Ken. Sound familiar? Most Americans will recognize this as the familiar Barbie doll, invented by Ruth Handler and marketed by the well-known toy company Mattel. Yet, this description that we nowadays so often associate with Barbie was a bit different 50 years ago. When Barbie was first created, she had a much different appearance, and since then, Barbie has evolved in her looks with the changing times. There was a crucial set of events in Ruth Handler’s life prior to the creation of the doll that allowed this doll to become as popular as it is today. It was in 1945 when Ruth Handler, her husband Elliot Handler, and their friend Harold Matson had started up a small workshop in their garage (In the picture is Elliot and Ruth Handler). This business, from which they originally made and sold frames, was called Mattel (a combination of Matson’s and Elliot’s names). At first their business was small, but after a little while Elliot began making dollhouse furniture out of frame scraps and selling them in addition to the frames. Surprisingly these dollhouse furniture items turned out to be a success, so the group of three decided to shift their businesses focus to toys. Out of this came their first product, the Uke-A-Doodle, which created a solid foundation for the business. Through the early and mid-50s, they created several toys like this that generated a fair amount of company revenue. Using this revenue, the Handlers bought 52 weeks worth of advertising on the new show the Mickey Mouse Club. It was this action that paved the way for the company Mattel to continue up in the ranks as a big brand toy company and create the successful doll that thrived in the toy industry (“Inventor”). It was in the year 1959 when Ruth Handler came up with the idea for the Barbie doll. For some time, she had observed that her daughter Barbara loved to play with paper cut out dolls. She found that her daughter most commonly acted out scenarios where the doll was a teenager or a working woman, and came to the conclusion that girls most often used dolls to act out future, rather than current, roles. “When I conceived Barbie, I believed it was important for little girls’ self-esteem to play with a doll that has breasts” Ruth said (“Ruth”). She also concluded that this acting out of future scenarios helped a girl’s self-confidence. This gave her the idea to make a three dimensional doll in which girls could act out their dreams. Hence the Barbie doll, named after Ruth’s own daughter, was born. Loosely based off the racy German comic-book character named Lilliin, in December of 1959 the Barbie was officially released and showcased at the 1959 toy fair in New York City (“Inventor”). At the right is the first Barbie doll that Ruth showcased (Bellis). In the period of only a few years, Barbie became a hit with the young girls of America. By 1965 the Mattel Company was already making over $100 million in sales with various toys. At that point, the Barbie came in three original varieties: Blonde hair, Brunette hair, or Red hair. Also during that time, in 1961 Barbie’s infamous companion Ken was released and showcased at American International Toy Fair (shown to right). Ruth Handler had named this doll after her son Ken, and the doll was a great success. He was marketed as Barbie’s boyfriend and came to have nine different choices of hair color. Just like Barbie, Ken evolved slightly in his looks to meet the changing styles and trends of the times. (Bellis). The Barbie toy line didn’t just stop with this Barbie and Ken duo. In 1968, Mattel created a new doll: The Christie doll. One of the first dolls added into the ethnically diverse Barbie doll family, Christie served as an African American friend of Barbie. In 1980, Mattel released another African American Barbie, Francie. Some people consider Francie to be the first true black Barbie, arguing that Christie was just a “white doll, painted brown” (“African-American”). In 1980, Mattel also released a Hispanic Barbie by the name of Teresa who was another ethnically diverse friend of Barbie (Bellis). Many variants in the original blonde Barbie were coming out in between the releases of these different ethnic Barbie Dolls. Most of the new releases only consisted of slight changes in facial structure or body length, say the eyebrow or lip shape. But, it was these small differences that eventually led the Barbie to look as it does today. Along the path of these small changes, one of the most popular Barbie editions were the Totally Hair Barbie and Ken. Released in the 1990s, in this version of the doll Barbie had hair that extended all the way down to her feet and Ken had actual hair that came with a gel that could be used to style his hair (Bellis). The popularity of the Barbie Doll inspired hundreds of other similar creations. 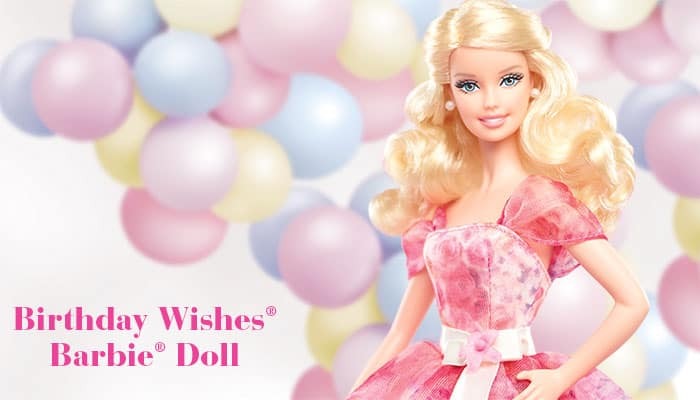 Mattel created variants of almost every one of their dolls, as well as creating a whole Barbie lifestyle complete with a Barbie car and Barbie Dream house. Outside of Mattel, other companies tried to get their share of fame by creating dolls similar to Barbie such as such as the UK’s Sindy Doll or Ideal Toy Compnay’s Crissy and Velvet dolls. Barbie even affected outside the toy industry and inspired people to create movies and TV shows about the doll, as well as the song I’m a Barbie Girl released by the group Aqua in 1997 (“10”). Because of all this culture centralized around the Barbie Doll, one could say that the Barbie is an iconic American toy. Barbie thrives in the minds of the young, kindling the spark of imagination and creativity in the young girls of America (Bellis). “African-American Barbie Doll History.” African American Barbies. AAB, n.d. Web. 16 Dec. 2014. “Inventor Ruth Handler Biography.” The Great Idea Finder. N.p., 30 Nov. 2006. Web. 16 Dec. 2014. “Ruth Handler Quotes.” Quotes Wise .com. N.p., n.d. Web. 16 Dec. 2014.